Working through its subsidiary company Stereau, the Saur Group is also involved internationally in the design and construction of drinking water production and wastewater treatment plants; its most recent projects have focused on Algeria and Senegal. At the beginning of this year, Stereau was appointed by the national water company of Senegal (Société nationale de eaux du Sénégal or SONES) to drill ten boreholes and construct an 800 m3/hour pumping station at Thiaroye on the outskirts of Dakar. These new facilities are designed to significantly improve living conditions for local residents, whose densely-populated community is regularly flooded as a result of rising levels in the Thiaroye aquifer. They form part of the emergency flood response plan introduced by the government of Senegal. 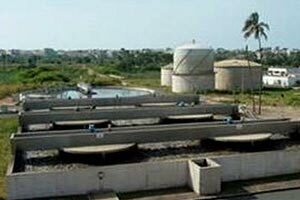 This operation takes place after Stereau was appointed by the Senegal National Office of Sanitation (Office National de l’Assainissement) to extend and upgrade the Cambérène wastewater treatment plant in Dakar. 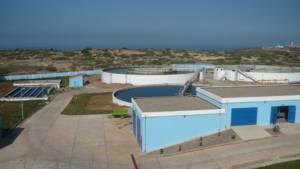 Treating 15% of the city’s wastewater, this plant is designed to absorb the region’s demographic growth and meet the stated commitment of the Senegalese authorities to put in place the environmental infrastructures required by a country that is also a major tourist destination. The re-use of treated wastewater reduces the pressure on water resources, at the same time as cutting greenhouse gas emissions.To complement its environmental policy, the plant is also equipped with a sludge digester facility. The biogas generated by the digestion process is then used to generate 30% of the plant’s electricity needs. In 2007, the Direction Hydraulique d’Oran water authority awarded Stereau, the Saur Group’s engineering company, a contract to design, construct and operate the wastewater treatment plant for Ain-El-Türck, the beach resort community of Oran. The Saur Group acts as representative for the consortium of Stereau and Guangsha, the Chinese company responsible for the civil engineering works. The treatment plant has a capacity of 250,000 population equivalent, and includes an activated sludge process line.